Insightful webinars with tips, tricks & strategies to get a perfect PTE score. 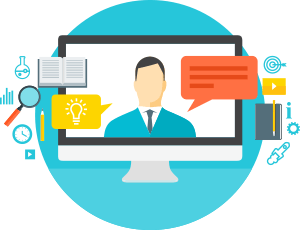 Watch these webinars by PTE experts with years of experience. Get your desired PTE score! By following the golden rules of Grammar, you can score well not just in the Writing Module, but also in the other modules. By attending this session with the PTE-A expert, you will be able to practice with Essay and Summarise Written Text. By attending the session, you will gain mastery- Read Aloud, Repeat Sentences, and Describe the Image. In this session, the PTE-A expert will help you practice both types of MCQs of Reading and Listening, Highlight Correct Summary, Highlight Incorrect Words, and Select Missing Words. Through this Q&ans; A Session, our PTE-A expert will share tips, tricks, and strategies to maximize your score. All your queries will be resolved in this session. Along with reading, practice writing blanks and fill in the blanks and grab your desired score. Learn the art of putting your creativity into words –learn to summarise the text and Essay. Sharpen your skills by practicing all the important subsections like summarise spoken text, listening fill in the blanks, highlight incorrect words etc. Integrated Scoring: What is the relation between Speaking, Reading & Listening Module? Learn how integrated scoring works in PTE-A. Know how scoring a 90 in PTE Speaking will help you achieve good scores in the Reading and Listening Modules. How to tackle Answer Short Questions in PTE-A Speaking Module? Want to score 79+ in PTE-A Speaking? If yes, then this webinar will teach all you need to learn about Answer Short Questions in full details (with and without images). What is the Role of Pronunciation in the PTE-A exam? Want to achieve a score of 79+ in the PTE-A exam? If yes, then you must learn about the role of pronunciation in PTE-A exam, and strategize on how you are going to improve yours. With this webinar, you will learn from our expert about the different kinds of essays in PTE-A exam. Our tutor will also share with you the suitable strategies to be adopted for different types of essays. Get access to recently repeated PTE-A materials. Sharpen your preparation! Know about grammar, Collocations and understanding of the paragraphs with deep knowledge. If you find Reading & Writing Fill in the Blanks tricky, then this webinar will provide you with in-depth details about the task, the usage of collocations, and grammar rules. Which tasks carry negative marking in PTE-A? Curious to know how negative marking works in PTE-A? This webinar will give you an in-depth understanding of how negative marking works in: Multiple Choice, Multiple Answer (Reading & Listening) and Highlight Incorrect Words. What are the scoring criteria of high weightage tasks in PTE-A? The webinar will help you gain an in-depth understanding of how high-weightage tasks in PTE-A are scored. Tasks covered: Write From Dictation, Summarise Spoken Text, Summarise Written Text, Read Aloud, Retell Lecture, and Repeat Sentences. What is a template? When and how to use templates in PTE-A? This webinar will give you an overview of the proper use of templates. The webinar will cover templates for Summaries Spoken Text, Retell Lecture and Essay. How to utilize PTE Tutorials to get your desired PTE score! Register for the FREE webinar & learn how to harness the power of PTE Tutorials. Learn how to fully utilize the PTE Tutorials Mobile App, the website & also the very popular Telegram Group. Learn to use all the resources optimally & get your desired score. This webinar will give you an overview of the repeated materials for November for the PTE-A exam. Tasks covered in this webinar: Fill in the Blanks (Reading), Retell Lecture, Summarize Written Text, Reorder Paragraphs, Describe Image, Answer Short Questions, Write From Dictation, Fill in the Blanks (Listening) & Repeat Sentences. 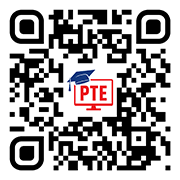 This webinar will give you an overview of the PTE Exam & also details of essential tasks which can affect your PTE Score. The webinar will also feature an explanation of the tasks and their respective weightage with examples and common FAQs. If you have been struggling with getting a good PTE score, then this webinar is just for you. Attend to learn tips & strategies & know what enabling skills affect your score. How Repeated Questions help you to increase your score in PTE? If you are want to score 79+ in PTE, should you only rely on repeated questions? Or, should repeated questions only serve the purpose of practice? Attend this webinar to get all your questions and doubts around repeated questions resolved. Get access to Repeated Questions list for September & October. Also, get Model Answers. Don’t miss! Webinar on ‘Describe Image’ section, which is one of the toughest tasks in the PTE Test. In this webinar, our PTE expert gives insightful tips, tricks and strategies that you can apply. Don’t miss this! Wondering why you are ending up with a low PTE Speaking score every time? What are you getting wrong every time? Watch this webinar by our PTE expert to learn what affects your speaking score. Be better prepared next time. How you remember and repeat sentences in the PTE ‘Repeat Sentence’ section is very important. This section doesn’t just test your fluency and pronunciation but also your memory. Watch this webinar by PTE experts and learn hacks and tricks to ace the section. Time Management is one of the most important skills to have in the PTE Listening section. Watch this webinar by our expert to learn how to manage time effectively. Learn tips, tricks and strategies & ace PTE Listening like a pro!